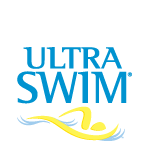 Re-formulated Ultraswim Ultra Repair Conditioner delivers the extra moisture chlorine exposed hair needs. This deep conditioner restores moisture, detangles and repairs split ends-leaving hair shiny and frizz free. Use after ULTRASWIM shampoo. For added protection against chlorine damage, apply ULTRASWIM conditioner prior to swimming as it will reduce the amount of damaging elements absorbed by the hair. • 7 fl. oz.